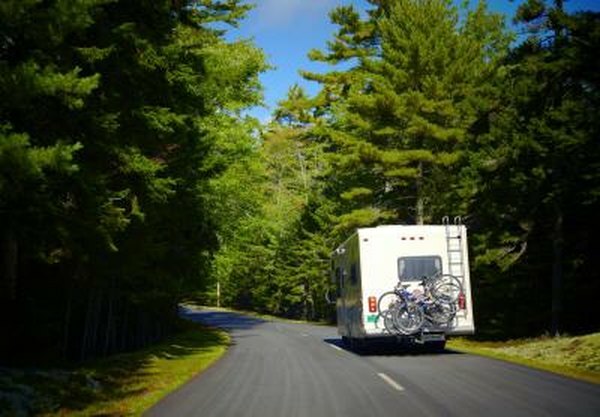 RV lots in scenic vacation areas, desirable as investment properties, may become more so as RV sales rise. Becoming an owner of a campground is the easiest way to invest in RV lots, although other methods exist. Campground or RV park ownership can be accomplished by purchasing an existing facility or by developing your own. A recent upsurge in RV sales may drive demand for these facilities as consumers continue to look for more relaxed types of vacations and getaways. Buying an existing RV park or campground carries advantages and disadvantages. The infrastructure will already be in place for the business, as will all permits for the land development. However, you may be subject to the previous owner's poor reputation or marketing with this type of purchase, which must be considered carefully in your business plan. In addition, you may inherit a facility that needs upgrades to be competitive with newer parks. Purchasing property and developing an RV park on it can be a major undertaking. You must get all the necessary permits and design the road systems, electrical lines, water lines and sewer service. However, you will build from the ground up, overcoming infrastructure deficiencies that patrons can find annoying. In addition, you can create a state-of-the-art park with modern amenities such as cable TV, Internet access and workout facilities. RV campground owners must invest in effective advertising to build awareness of their businesses. Often the best advertising, word of mouth, comes from patrons sharing their good experiences at your lot with other RVers around the country. Offering small benefits and perks, such as free entertainment on Saturday evenings for RV campers will enhance people's perception of your facility. In addition, you can invest in advertisements in national RV magazines and directories, as well as a good website which details the features and benefits of staying at your park. Developing a campground and selling individual lots will allow buyers to purchase the property to use as they desire. You will collect a maintenance fee to cover common areas, such as roads and buildings, as well as to cover taxes and future improvements. You could get creative and sell the right to use the lot for a certain time period, similar to a timeshare rental. This will work best in an desirable vacation area with a high rental demand and low site availability. In addition to investing in lots, you can make other investments that will allow you to earn a return from the industry. An RV rental business, where you provide daily or weekly rentals to people who want to experience a camping vacation without the expense of a major purchase, is an option. You can also organize a rental pool, where you arrange to rent RVs owned by others for a percentage of the rental income. The pool arrangement has an advantage of much lower capital requirements.